A Mortuary Makeup artist has a very important job. Only those who are the best at what they do are hired for this type of work. We have all heard people after attending an open casket funeral or wake exclaim "he looked so peaceful" or "It looked as though he was just asleep. 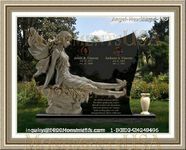 This is thanks to the excellent work performed by professional mortuary beautician. It is quite amazing that a person can be made up in death to look as they did while living, especially by an individual who did not know them. 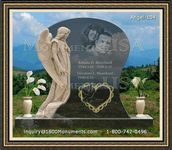 How this is done is the family member will give a photo to the funeral director, and the artist will recreate what he or she sees. 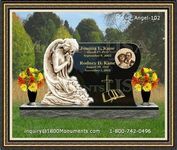 The custom in many places is for loved ones to have a viewing of the deceased before they are laid to rest. Often people will have difficulty believing the person has died if they do not see it for themselves. In the event of ongoing illness or a death caused by a serious accident, this would not be the best idea, if not for the work of makeup artists who work for morticians. 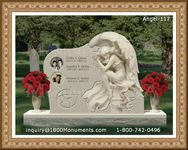 People might be surprised to learn of some of the materials used to make a deceased person look at peace. A combination of plaster, wire mesh, cardboard, paint, and other unexpected supplies may be utilized. Although this may be surprising, it is a wonderful gift to the person who has died and also the people who love them. One last final look at this person will allow most of us to accept they are at peace. Makeup for the living is not appropriate for the deceased. Most is made to work chemically with the warmth of the skin. This will not blend on a person who is post mortem. Instead it will cake up and sit unattractively. Those who work with morticians use a special non-thermogenic blend. 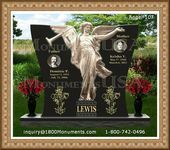 Individuals who make a deceased person look great for their funeral are giving a wonderful gift to them and their loved ones. This is their final farewell. A top artists will make sure they look their very best.